I’ve had a lot of reasons to celebrate lately… After releasing my book Celebrate and going on my book tour, it’s safe to say that 2016 has been a very celebratory year so far! And, to me, creative cocktails are the perfect reward to celebrating a big milestone. I like to think up a new cocktail each season, inspired by the flavors and spirits the remind me of that time of year. 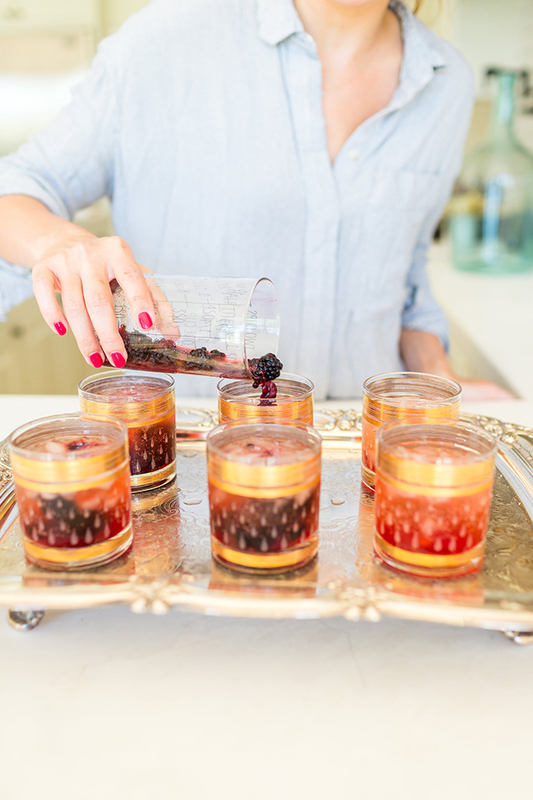 With summer coming up, and blackberries coming into season, I’ve recently been making a blackberry champagne cocktail (inspired by this recipe from Lark & Linen, but with my own twist) that’s so delicious and fresh. 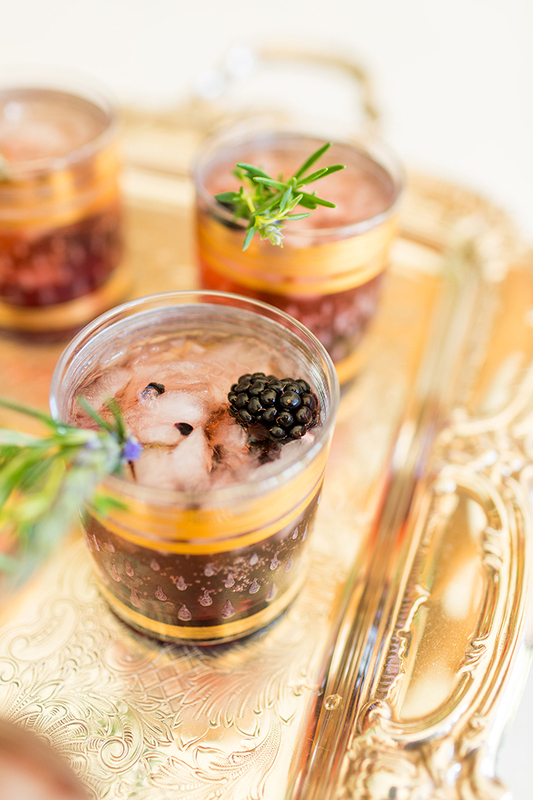 The champagne makes it effervescent and the homemade blackberry syrup gives it just enough sweetness. And I call it a “garden cocktail” because of the delicate bundle of herbs I pick from my garden and add to each glass. 1. 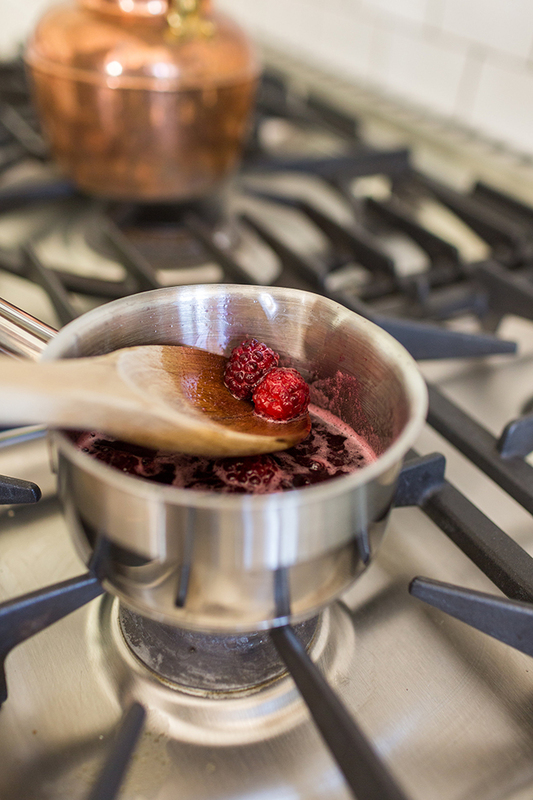 In a small saucepan, heat up your 1/3 cup of sugar and 1/3 cup of water with 1/3 of a cup of your blackberries to make the blackberry syrup. Stir on low heat and let simmer for 8-10 minutes, then remove from heat and let cool. 2. 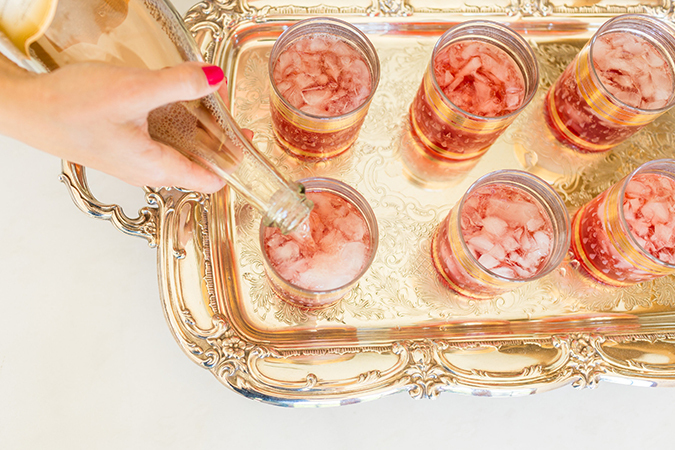 Distribute your syrup between four glasses or tumblers, and then fill each glass with crushed ice. 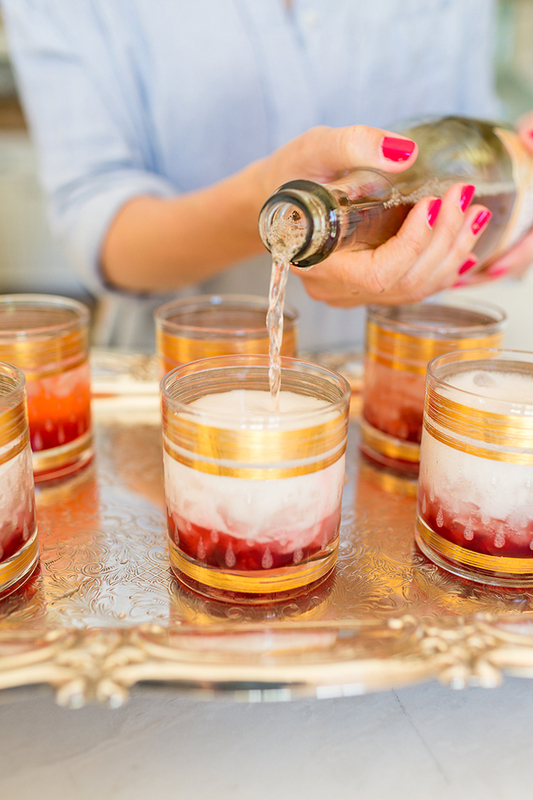 Fill each glass with ¼ cup vodka and fill the rest to the top with champagne, then stir to mix evenly. 3. 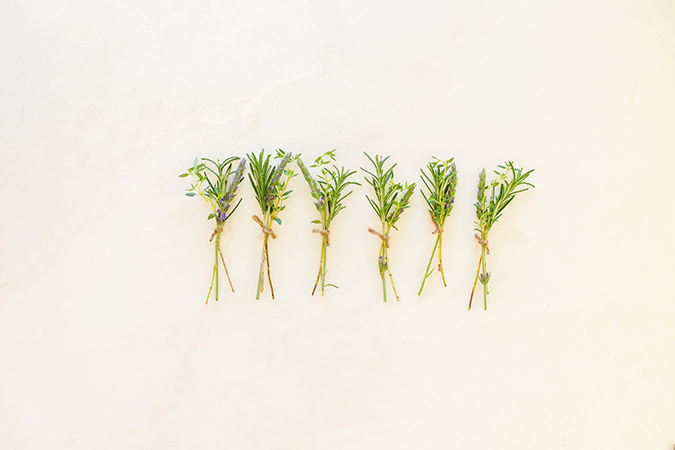 Now, to make your herb bundles… Take one sprig of lavender, one sprig of thyme and one sprig of rosemary. Bundle these sprigs together and tie them off with a small piece of twine. 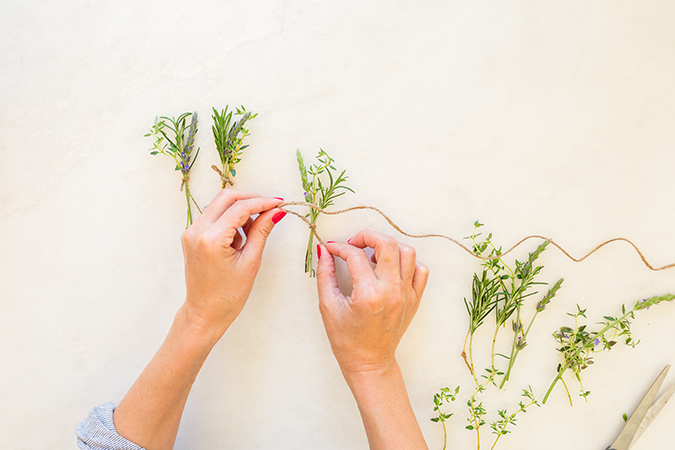 Cut excess twine if necessary, and repeat three times until you have four herb bundles. 4. 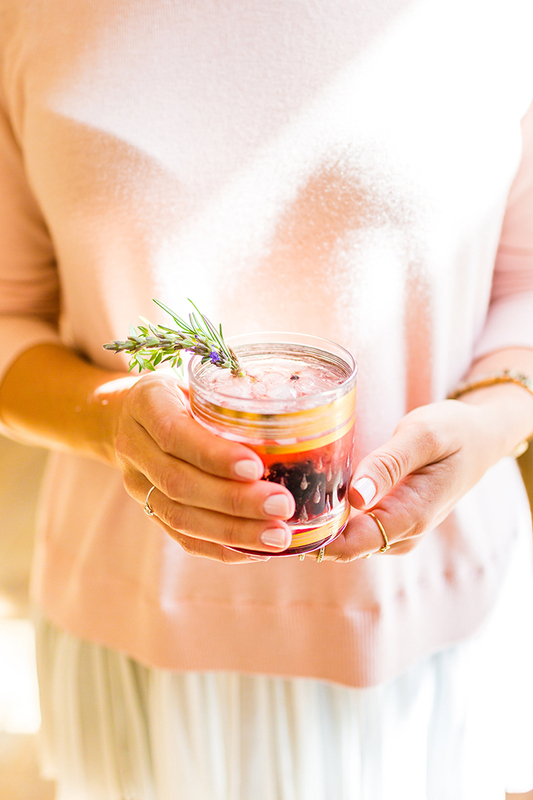 Garnish each drink with an herb bundle and 2-3 blackberries, and you have yourself a gorgeous (and delicious) batch of cocktails! 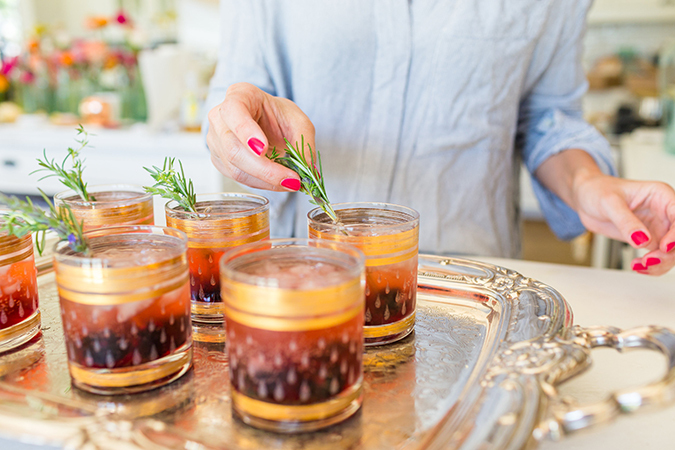 As you can see, these cocktails are guaranteed showstoppers at any happy hour. So, make a batch for friends this weekend, and be sure to share photos of your creations on Instagram with #LCdotcomloves. Will you give this cocktail a try?